Kitty Paw loves cold weather. 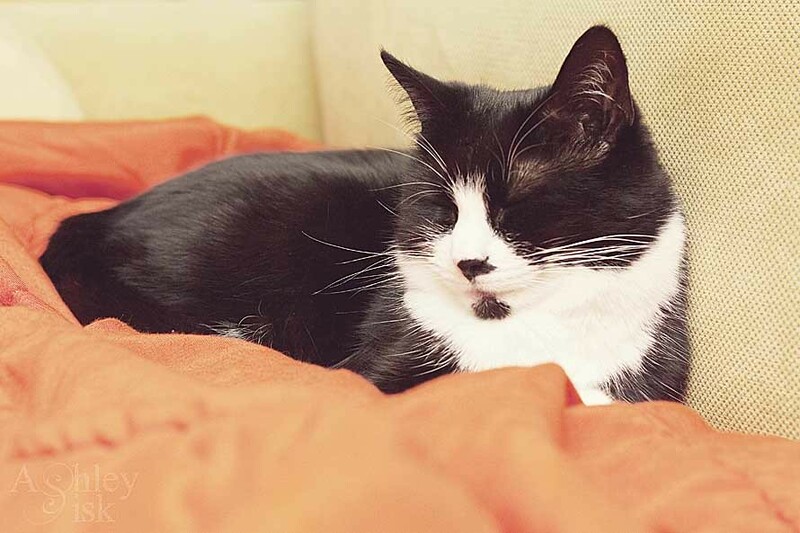 Like most animals, Kitty Paw loves to sleep…and she really loves to sleep on warm blankets. My husband has this old (but incredibly warm) orange blanket that Kitty Paw really loves, but we only bring it out of the closet when it starts to get chilly at night. So…this weekend, we brought out the orange blanket. I think she was upstairs when I opened the closet door, but within seconds, she was checking out the couch to see what was going on. Moments later…she was sound asleep on my feet.